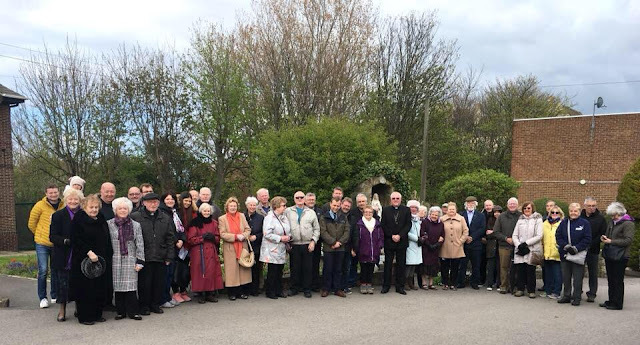 Thousands of Catholics prayed the rosary across the United Kingdom on Sunday, April 29, 2018. The event, is thought to have been the biggest Catholic gathering since the visit of Pope Benedict XVI in 2010. 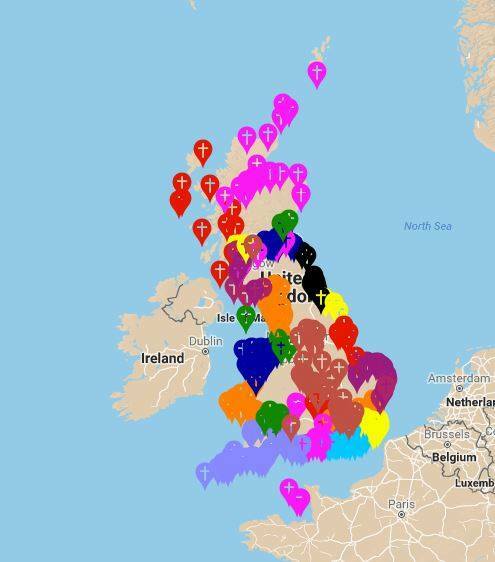 Over 400 groups prayed at sites along the British coast, and a few abroad. The crowds varied in size from single families to several hundred people at some locations. Priests, religious, Bishops and many families attended. It was sponsored by various high-ranking clergy and even members of Parliament. A coast-to-coast walk is generally a challenging and arduous journey, which takes preparation and courage. The coast-to-coast Rosary is no less this type of pilgrimage in praying for the spiritual wellbeing of our nations, at this time in the history of the British Isles. The Rosary is the most powerful weapon of choice (as it is Heaven's choice!) in which to pray for the healing and unity of our nations. 2. What was the inspiration? Poland brought to the forefront of the Catholic world this powerful intercession of prayer to the Mother of God, bringing a simple but powerful spiritual witness of hope and healing where the words of the psalmist resonate “a pure heart create for me O God put a steadfast spirit within me”. We desire to be steadfast in our fervent prayers for peace, our witness to the truth of the Gospel and our willingness to “cross the road” to serve our sisters and brothers especially the poor and the marginalised. 3. What have you learnt, if anything, from the Polish and Irish experience? That with leadership and a common purpose the faithful people of a nation can come together in faith to witness to the reality that prayer can move mountains. 4. How many people are involved in the planning? A team has come together from across the British Isles to facilitate a strategic framework of co-ordination and to enable good communication to dioceses and parishes. 5. What support do you have from the church? The Coast-to-Coast Rosary is a lay inspired initiative, which is calling Catholics and all people of good will to join together in this act of prayer for the nations. The Cardinal and many Bishops across Scotland, England & Wales are encouraging this initiative and the episcopal lead is Bishop John Keenan of the Diocese of Paisley in Scotland. The Rectors of the National Shrines of Our Lady at Carfin in Scotland, Our Lady of Cardigan in Wales and Our Lady of Walsingham in England have given their full support and encouragement. 6. Why on these dates? Sunday April 29th 2018 at 3pm is the 5th Sunday of Easter. This date seemed to work logistically with everyone, taking into consideration Lent, Passion-tide, Easter and the Easter season. The date also happens to be the Feast of Our Lady of Faith and of St. Catherine of Siena. Once the date was set we noticed that it followed two days after the tragic anniversary of the full implementation of the 1967 abortion act (April 27th) thus pointing us to consider within the spiritual preparations for Rosary on the Coast the much needed prayers for healing and unity which needs to be made before God as individuals, as communities, as a Church and of course as Nations. The British Isles has an ancient Marian heritage within it. England is known as the ‘Dowry of Mary’ and the Bishops of England will lead the rededication of England as the Dowry of Mary on the solemnity of the Annunciation 2020. This Rosary on the Coast initiative is seen as part of the spiritual preparation for this rededication. Our Lady’s spouse, St Joseph is Patron and Protector of the universal Church. In order to honour him and ask for his protection as spiritual father of the new evangelization we begin on his Feast Day of 19th March a 40 Day spiritual preparation which co-incidentally lasts until 27th April on which the Abortion Act of 1967 was brought into common law 50 years ago. April 28th an invitation is extended for everyone to go to Confession. Sunday April 29th, everyone is invited to Pilgrimage to the Coast, for Rosary on the Coast at 3pm. People throughout the British Isles are already preparing locations for Rosary on the Coast local to them. 7. What do you hope to achieve? To witness to the power of prayer to change lives as we come together to ponder, like Our Lady, on the events of her Divine Son’s life reflected in the mysteries of the Holy Rosary, the compendium of the Gospel. To witness to the ancient and vibrant Christian history that is at the heart of our national story by praying and doing penance to bring unity, peace and healing to our troubled society. We hope to contribute to the re-establishment of a culture of life in our nations through prayer and sacrifice. We hope to inspire a pro-life conscience among all peoples through a loving and compassionate witness. 9. Could you also forward me the contact details for the Scottish (and Welsh?) side? We are all working as one Team. Some Team members prefer to remain in the background. Fr. Philip Harries, Rector of National Shrine of Our Lady of the Taper, Wales. Fr. Francis McGachey, Rector of National Shrine of Our Lady, Carfin, Scotland. Fr. Derek Hyett – Parish of Our Lady & St. Joseph, Kingsland, Diocese of Westminster. EWTN UK (Walsingham) has pledged to greatly support Rosary on the Coast.